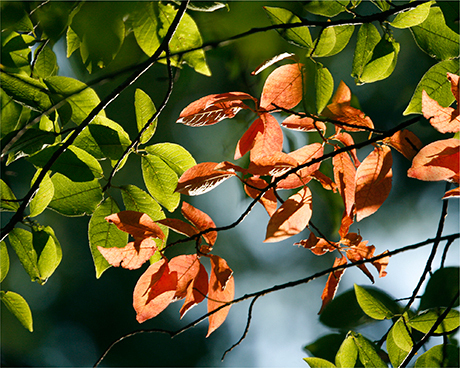 Red and green leaves photography reminding about the Autumn. Nature art print for home decor. This photography is printed on premium archival metallic paper with additional Matte finishes, which coats it from water, UV, fading and scuff damage and no need a glass protection.